My name is Jörgen Johansson and here on my site you will find a number of articles on lightweight backpacking. Some are in English, some are written in Swedish. Since 2003 I have realised that ligthweight gear is not about counting grams but about counting kilos. I have taken more than 10 kilos from my baseweight without doing anything extreme and I am not even an ultralight backpacker according to some definitions. During this journey I have written a number of books. In Swedish you will find Vandra Fjäderlätt in its second edition. In English you will find a number of titles in English, called Smarter Backpacking. 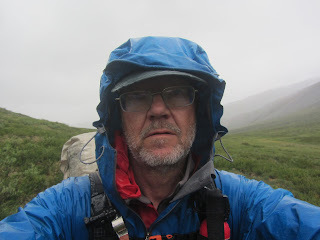 I have tested lightweight gear on numerous long solo treks in Scandinavia, Canada and Alaska. A key to a light and pleasant pack that still does the job and keeps you safe and comfortable is "343" or "3 for 3". This means that you bring the combined weight of the three "big ones" (tent, pack and sleeping gear) down to a maximum of three kilos. This will be the foundation of a light pack that will make every step along the trail more pleasant. 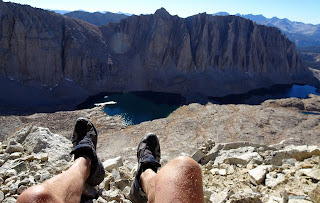 You will spend less time staring at your own feet and more time enjoying the nature around you. Unfortunately many of the photos in my articles in this blog have gone missing when Google changed technology. I am sorry about that. I am trying to update the photos by and by. If you understand Swedish the link below will lead you to a podcast interview with me that will explain a lot of what lightweight backpacking is about and what it can do for you. Click here for the podcast interview.